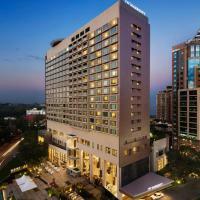 The JW Marriott Bengaluru offers a 24-hour front desk, free Wi-Fi throughout the property and is home to 3 dining options, a fitness centre, an outdoor swimming pool, a spa & wellness centre and various other 5-star amenities. The hotel is located just 5 km from Bangalore City Railway Station. Bengaluru International Airport is 35 km away. Local attractions include the Visvesvaraya Museum, which is barely 500 metres away and the Lal Bagh Botanical Garden which is 5 km away from the property. The luxurious JW Marriott offers a business centre, steam and sauna, library, tour desk and a massage centre on property. Currency exchange, car rental, luggage storage and laundry/dry-cleaning facilities are on offer. 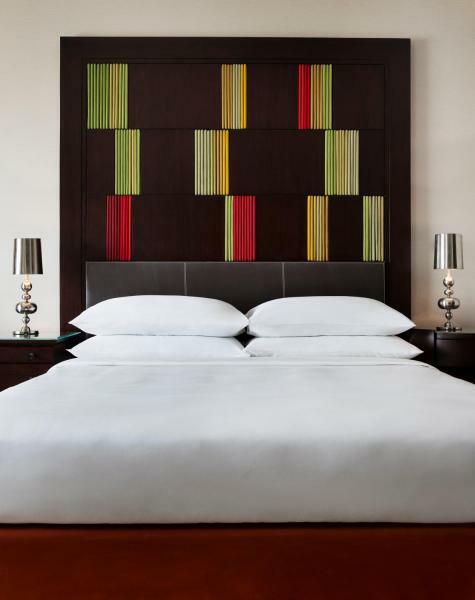 Each air-conditioned room features a desk, flat-screen TV with satellite channels, minibar and a CD player. The en suite bathroom features complimentary bath amenities. The JW Marriott Bengaluru provides concept driven food and beverages outlets from the 24-hour multi-cuisine restaurant, JW Kitchen to authentic Indian cuisine at the poolside Spice Terrace restaurant. Bengaluru Baking Company offers a novel gourmet experience and includes delicious pastries, made-to-order sandwiches and beverages. Alba is an exclusive Italian restaurant while refreshing beverages can be enjoyed at the Bar Uno. Room service options are also available. One further older child or adult is charged INR 1800 per person per night in an extra bed.